on all aspects of DePauw and campus life. Judging from last year’s first Admitted Student Open House when 126 students visited campus in February of 2014, this year’s open house brought 140 students to campus, which may indicate a promising class of 2019. “We thought it was a very successful event,” said Director of Admission, Dani Weatherford. According to an email with Weatherford, last year’s open house brought in 126 students with a 54 percent yield, meaning over half of these students enrolled soon after the event concluded. Students were busy from 9:00 a.m. to 3:30 p.m. on Saturday; they began their day in East College at Meharry Hall. President Casey and an alumni panel spoke to the admitted students about the DePauw experience. The students then traveled to Asbury where they spoke with student mentors in designated classrooms. Parents who attended the event could stay in Meharry and listen to a panel manned by parents of current DePauw students. After a lunch break in the UB Ballroom, the admitted students relocated to various academic buildings to participate in tours and university discussion. 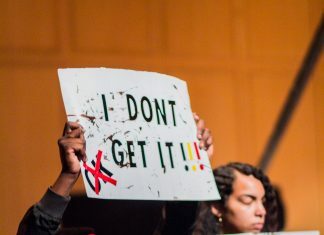 Students from feeder cities like Indianapolis and Chicago filled a large portion of students who attended last weekend, but other cities throughout the country represented as well. “We had people from Boston to Seattle,” said Weatherford. Some students who registered for the event did not end up attending due to the weather, but Weatherford explained how this happens every year. The weather, however, did not stop admitted student Kaitlyn Malley from traveling from Scottsdale, AZ to Greencastle, IN. Malley had visited DePauw in October prior to the open house, and she considered the structure of the events to be an effective showcase of DePauw’s community. The Office of Admissions normally runs their first open house in February, but due to a change in their outreach strategies, they decided to schedule the first event for March. 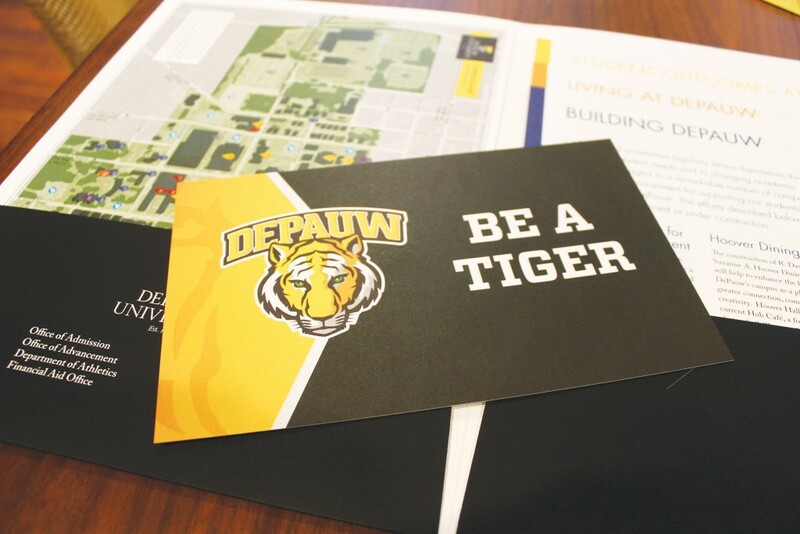 Any student who has been accepted to DePauw is encouraged to attend an open house. The Office of Admissions sends out both email and print notifications, and high school admissions counselors are supposed to remind students of these events as well. The next Admitted Student’s Open House will take place on Saturday, April 11.